Untie The Ribbons: Momma Don't Let Your Caterpillars Grow Up To Be Cowboys! Momma Don't Let Your Caterpillars Grow Up To Be Cowboys! Lookee what we found in our herb garden this afternoon. Good thing I didn't want any Italian flat-leafed parsley to cook with tonight (or in the near future). These beauties were all asleep digesting all that parsley and if you look closely at the base of the plant you can see little pieces of the stems that fell to the ground while they were dining. Do click on the picture to enlarge it because these are gorgeous! 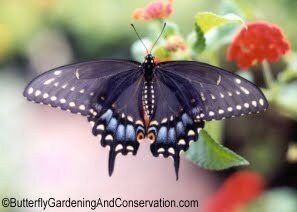 Black Swallowtail Butterflies. Isn't that the coolest? And we were honored to provide them the first part of their journey. I sure hope they pick somewhere in our yard to pupate so we can hopefully see them fly for the first time. And I know you may not believe this but see those little things hanging down at the bottom of the butterfly - yep, cowboy boots! Really! How cool is that! They are so gorgeous! So much beauty in the world when we open our eyes to it. 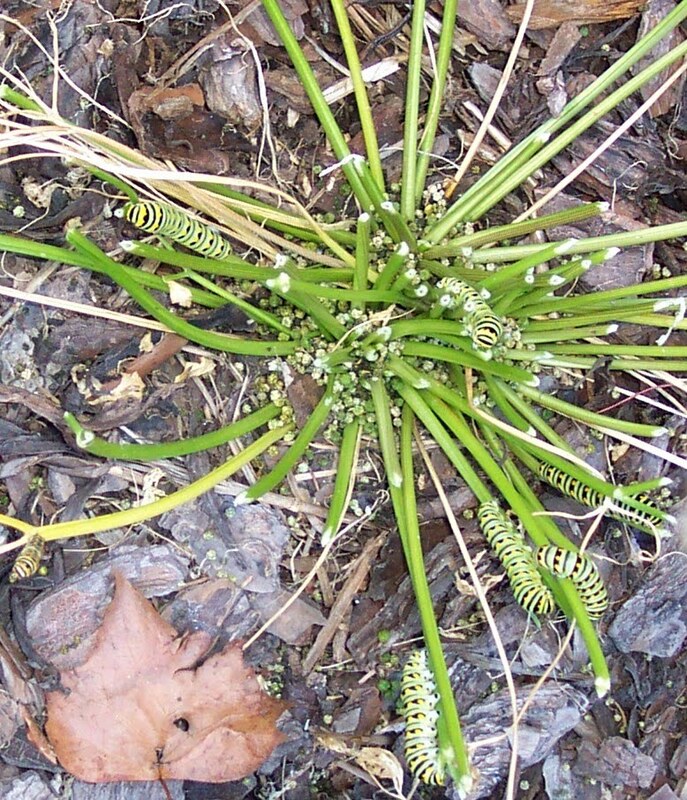 I do not think that I have ever seen so many caterpilars in one place. Your plant is literally crawling with them. One time we had little cocoons hanging from what looked like a weedy bush that had planted itself in a planter by the back porch. I did not notice them until they started coming out of their abodes, letting their wings dry and flying off. Tiny, tiny yellow butterflies they were, and in a few days they were all gone. I felt like an earth mother! LOL Mya - can't you just see it? One out on a hunting expedition finds the parsley and crawls back as fast as he can to alert his friends. I didn't know they were attracted to parsley, maybe I need to go take a look at mine! 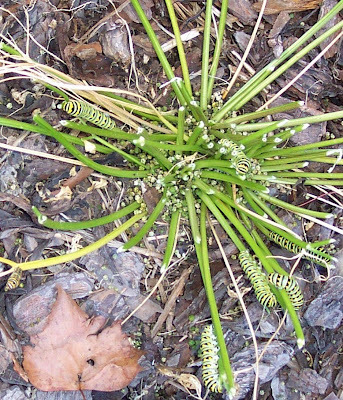 I too never saw so many catepillars in one place! Have a great weekend! Wow, they are so lovely! And what great butterflies they will make too. Poor parsley may never recover though!! What an amazing picture. I saw them also eating plant here. I think it's a variety of verbena that grows along the fields. Don't know the name. And like on your's there were MANY of them ..